Wow, Destiny is cool but is not as cool as f.......... Also, I hate Sh?nn too. Anyway, this is nothing wrong with my opinion. Thanks for this picture. Background can be better. shinn really is not my favourite character by any stretch of the imagination, but this wallpaper is very nice. i especially like the moon. It's good wallpaper and nice scan. Great work!!!!! Thanks for your picture. 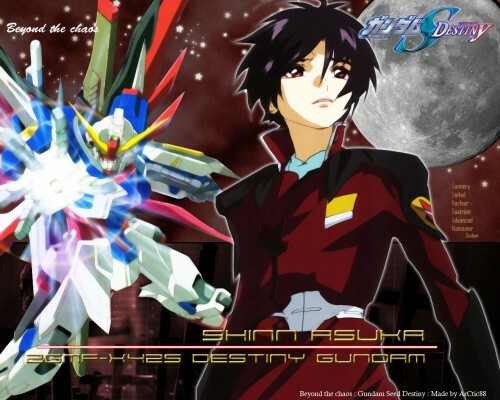 d^_^b"Shinn Asuka...Destiny....Launching!!!!!!!!!!!!!!!!!! !